As part of a team of UX and Visual designers at Odopod, I designed interactive moments and page layouts, and helped create a new visual language for Sony's global digital ecosystem. 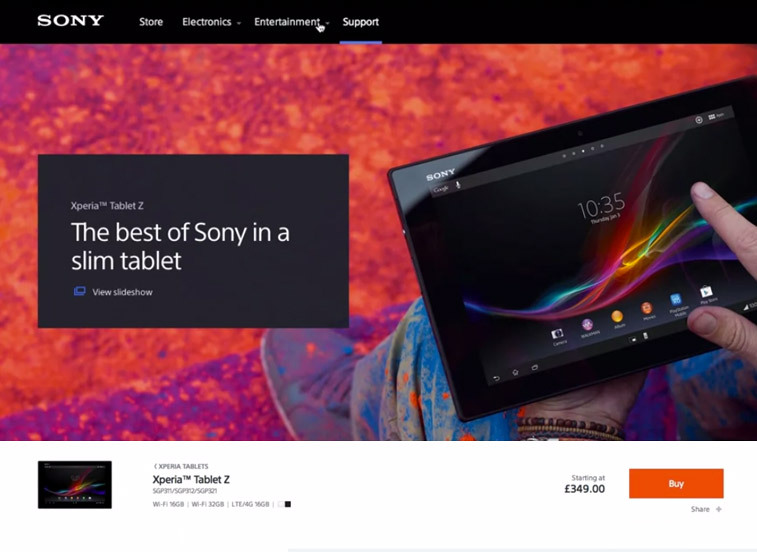 Working with our front-end development team, we built a cross-platform web experience, which brings all of Sony's product and services into a seamless, unified platform for consumers worldwide. We designed a modular web toolkit that allows Sony to rapidly build and customize an infinite number of pages. These adapt to offer an intuitive experience on all popular device platforms and screen sizes. The unified web framework gives consumers a cohesive experience, and gives Sony a workflow that is scalable and agile.